So will we continue to conserve? Will the pendulum swing back to center and see greater water usage now that the drought is history? A few predictions based on years of experience in the landscape industry…. • A small percentage will go back to using thirstier plants. People have been denied lush, tropical plantings and may choose to do small inset areas of a property with these plants. Or at least in a shaded area attempt to do this. • Perhaps less artificial turf in the future? Many people may still buy into the fake turf for it’s perfect appearance and no maintenance. But with the heat factor and long term issues of landfill, some may opt for the real thing again. • As noted above with artificial turf, the use of lawns of an appropriate size may see a comeback. Some of our local sod growers have developed new product lines with turf grasses using less water. Families with young children always seem to prefer real lawn versus fake. I can’t blame parents wanting their child to play on something natural (with hopefully no chemicals). • Succulents are here to stay! I feel that this group of plants will remain a constant in our new ethic of plant selection. With so many unique selections available (and more on their way) succulents should stand the test of time. It is hard to image that 10 years ago, you’d only find a few varieties at the nursery. And now, they seem to take center stage. They are ideal for our Mediterranean climate, low maintenance and low water, despite California’s historic drought is now over. • California Native Plants will also remain popular. You just can’t deny plant materials that are indigenous to our region. These plants seem to thrive on neglect. With the advantage of not having to augment the soil with conditioners and watering once per month once established, native plants are sure to please for many decades to come. • Water savings, such as rain barrels and grey water usage will continue. I’d expect at a slower pace, however. Some homeowners just can’t resist the benefits of storing nature’s water without all of our additives to make our water safe for drinking. • Permeable pavers or other permeable surfaces are great environmental practices that will also remain a constant for the right eco-conscious gardener. • Rebates and incentives will come and go. 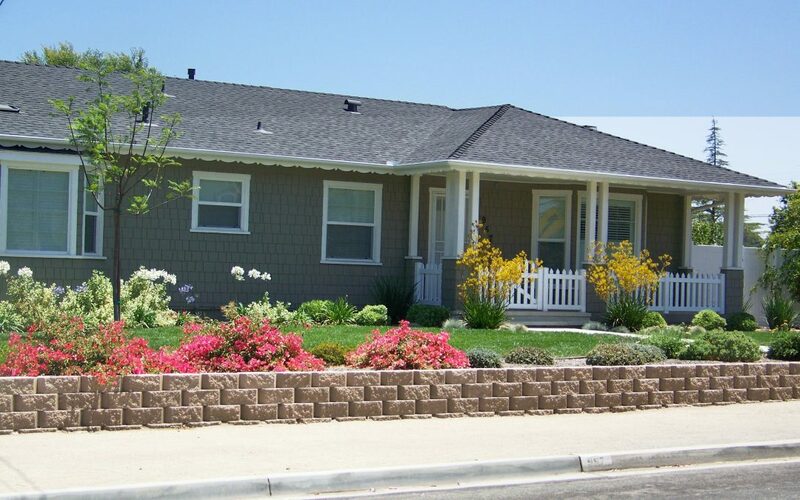 Despite being out of the drought, there is at least one current program, the “sustainable landscape incentives program.” This plan does require the use of permeable pavers, rain water capture, and plants that meet the low water (WUCOLS) criteria. Once accepted you can save $1.75 per sq foot of the former lawn area to be removed and replaced with low water use plant material. But act soon, as of mid-April the project has already exhausted 60% of its funding. So, it won’t last forever. In conclusion, we’ll see some minor adjustments with ample water in our future. The real test will be our future winter rainfall totals. California’s historic drought is now over, will this become the “norm” of extremely wet winters in California, or will we slip back into our dry and dusty ways of drought. In either situation, Letz Design Landscape is happy to assist you with your landscape design needs. And, maybe we can find some middle ground with the latest shift to our ever changing climate.